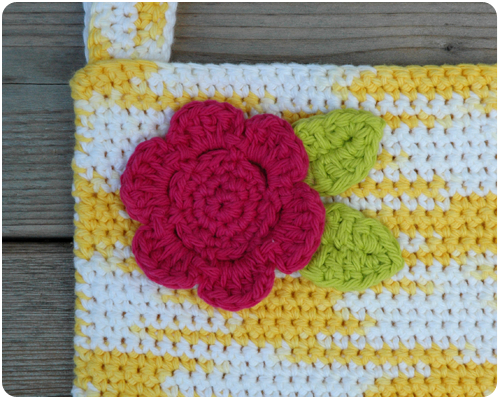 I made this purse while watching my girls in their swimming lessons back in August. They had lessons every morning and while they were in the pool I sat in the observation lounge and crocheted. Half an hour every morning for two weeks and I was all but done - the only thing left to do was whip up the flower and leaves and sew them on at home. Are you interested in making a bag like this? Do your children have soccer or hockey practice and you are wishing you had something to keep your hands busy while you watch? Well, this is a great little project for exactly such a situation. I used a 5.0 mm hook and some cotton yarn. It might be Bernat Handicrafter Cotton, but I am not completely sure as I bought it as a mill end several years ago at a sale. To join sides of bag, put wrong sides together and whip stitch the side and bottom seams together. Attach handles to each side of bag directly beside the side seams. 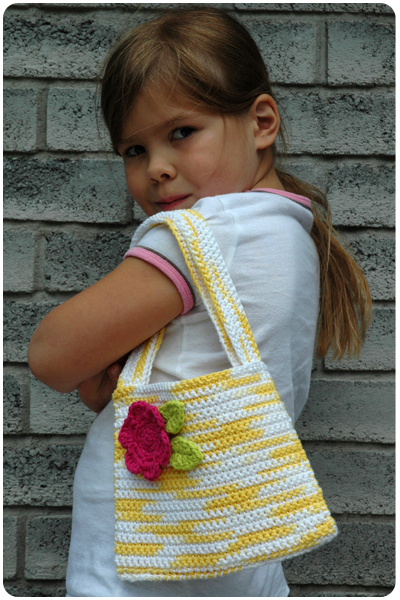 This pattern is for a fairly small bag, perfectly suited for a little girl. Of course, you can make your bag larger or smaller by simply changing the number of chains in your foundation row, and/or changing the height of the bag. The possibilities are endless. 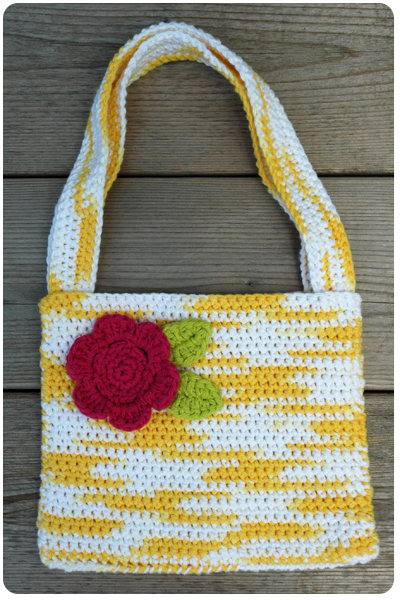 And while I added a flower and leaves (click here for the pattern) to my bag you could embellish your bag with stars, pom-poms, or whatever else you can think of. Happy crocheting, and if you have any questions please ask. 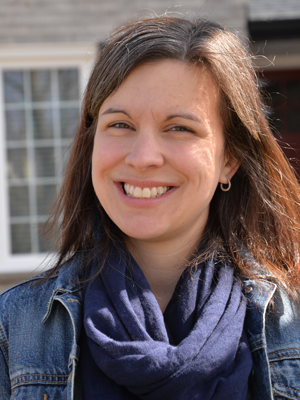 I discovered your site while searching for Qualicraft products. I'm enjoying looking around. I make lots of crochet purses too. Adding the flower makes it really nice. Welcome Linda. Thank you for visiting and for taking the time to look around. Making crochet purses is so fun! How did you attach the handles? I just sewed them (whip stitch) to the inside of the bag, being careful so that my stitches did not show through to the front of the bag. Hope that helps. Any more questions, please ask. Thanks so much for reading.